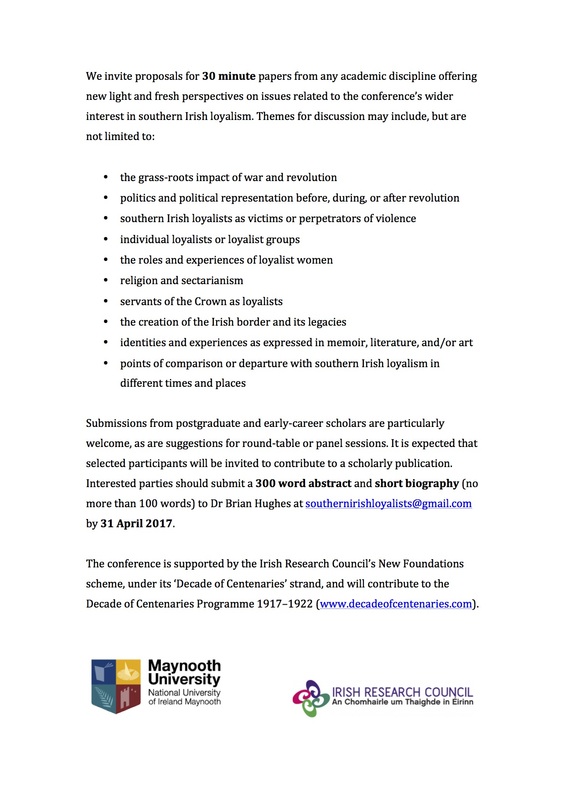 On 21 and 22 July 2017, Maynooth University is hosting a conference entitled ‘Southern Loyalism in context’. 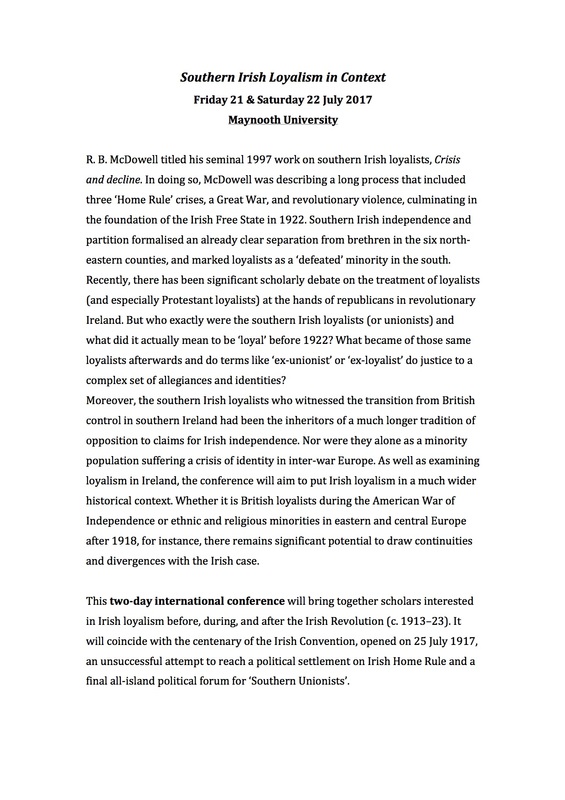 The conference is focused on loyalism not just in Ireland but also in its international contexts. Papers are very much welcomed from outside the academic community. The call for papers closes on 30 April 2017. Abstracts of 300 words and a short biography of about 100 words should be submitted to Brian Hughes. Email him at southernirishloyalists@gmail.com. The conference is supported by the Irish Research Council’s New Foundations scheme, under its ‘Decade of Centenaries’ strand, and will contribute to the Decade of Centenaries Programme 1917-1922 (www.decadeofcentenaries.com). Further details of the conference call for papers can be seen below.